I wish I could say that I knew from the start what luggage, gear and clothing I needed for traveling. But, sadly, it took me many years worth of trial and error, plus hundreds of wasted dollars, to finally settle on the things I know function as expected while traveling. I still have a stack of luggage in the closet that I’ll never use again. I remember one particularly horrible bag choice that I took on a solo trip to Eastern Europe. It was a rolling duffel bag that I’d had such high hopes for, but that ended up being one of the hardest to drag, roll and carry. I threw it out before I even made it home. Then there are years worth of cameras that have contributed to the load of bad photos I’ve taken. Needless to say, the luggage and travel gear that you choose is very important to the journey. It’s my duty to help you avoid bad bag trauma by providing you with my recommendations for luggage and other travel gear that will make your trip easier and more organized. we’ve also covered a few other travel topics you might be interested in like finding the best travel purse and the top carry on luggage guaranteed to fit in the overhead bin. See all of our travel gear reviews. Above all else, I prefer traveling light. The amount of time we save getting out of the airport by not having checked luggage is the biggest benefit, so we mostly prefer to travel only with backpacks. If a suitcase is needed, we still want to be able to carry it on, so you won’t find any larger-sized luggage on this list. Below is my absolutely MUST HAVE list, pared down to only the essentials. If you want to see more carry on luggage options, check out this post. Are you envious of those people pushing their luggage through the airport with ease. I definitely am! This TravelPro Spinner suitcase is one of the easiest pieces of luggage to travel with. The 21-inch size will fit in most overhead bins (always check airline size requirements). It has quite a bit of space plus a couple of convenient zipper pockets for tucking things away. And don’t forget those spinner wheels that glide in all directions. See all our carry-on luggage top picks. I can no longer travel without these packing cubes. They’ve made our packing so much more organized. They really compress clothes so you can pack twice as much. I used to shove my clothes directly into the backpack, but everything quickly became unfolded and messy. Now, everything stays in a neat stack and there’s no chance of things falling out at inopportune times. We both have our own color for when we share a backpack. Use them once and you’ll never go back to any other way of packing. I use the medium size the most because it fits nicely in the backpack. Two mediums or one large can be put into the main compartment together. The large bag works best for suitcases. They also have shoe bags that will keep your shoes from making everything else dirty. We love this collapsible water bottle. We take it everywhere we go, so we can fill up at a water fountain in the airport or at an event rather than buy expensive water. The attached clip makes carrying it very easy and it never pops open or leaks, even if it’s tipped upside down or squeezed between items in a carry on. It expands well to fit the full liter of water. Samsung Galaxy S8. The camera on this phone is really powerful. This mirrorless camera receives very high ratings. It combines an impressive list of features with great image quality, ease-of-use and really impressive lenses. It’s a good alternative to a bulky and expensive DSLR that takes a lot of time to learn to operate. The Sony A-6000 has a range of lenses to choose from, but we’ve gotten great results from the 35mm, especially with food photos. If you want to up your photo game, start here! See all our top camera suggestions. The Canon EOS Rebel T6 is a good DSLR camera to get started with. It’s a proven winner of a camera. It comes with a 18-55mm kit lens, but you can add lenses as you see fit. I love this bundle on Amazon that includes a 55mm telephoto lens, a memory card and loads of other useful things. have. It has great stability and resolution in low light, plus full HD 1080p video recording and bluetooth pairing capabilities. We could make a good case for having a tripod along on your travels, especialy for avid photographers, but our friends at Pages of Travel have told the story so well. Read why they think it’s wise to buy a quality tripod. If you don’t have a Kindle or e-reader these days then I assume you’re still hauling around heavy books. 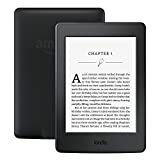 For flights where the weight limit for carry on is getting less and less, it’s so important to ditch the books and go with an e-reader. 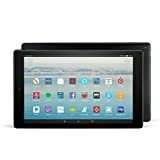 I love the Amazon Paperwhite edition because it’s got a high-resolution 6″ screen and a built in light so you can read it at any time of the day. It’s easy on the eyes and allows you to “carry” a ton of books at one time. There are a few more items that I cannot travel without. Of course it’s of utmost importance to have good luggage and electronics, but these travel accessories make flying and traveling long distances more bearable, which can mean the difference between comfort and annoyance. Bose Overear QuietComfort headphones aren’t for me (besides that they are really expensive, but if you’d rather have overear headphones, check them out. They are top of the line as far as noise-cancelling goes. This Audio-Technica pair works fine for me. It shuts out the loud engine noise in airplanes and the rumble of the train. Since these have to be charged, it’s super convenient that they come with an airplane plug adapter. ⇒ Read our full review of the best noise cancelling headphones for travel. I wear these everywhere now, not just while traveling. They are incredibly comfortable and versatile. I can wear them both hiking and to a nice restaurant without feeling out of place in either situation. The material is really smooth and they have sleek pockets in front and back that don’t pucker. They’re just stretchy enough to not restrict movement, but also not stretchy out with wear. They are available for both men and women. If you’re looking for the perfect pair of travel pants and want to see a few more options, check out this post. All I’m saying is why carry around a travel pillow that doesn’t double as a cuddly bear! This pillow actually comes in a ton of different animals, like a panda and a dog, but I love bears. It’s super soft and flexible, unlike some neck pillows, so it can be used in a lot of different situations, like when you’re trying to sleep up against an airplane window, or with your head down on the tray table. It’s easy to flip back and forth and it has a clip so you can attach it to your backpack and it won’t get lost in the airport. ⇒ See our travel gift list and find the perfect gift for the travel-lover in your life. Here’s another one if you still haven’t found the right gift! I know, this is technically still luggage, but it fits in this category better. I used to hate having all the random little things I carry, like make-up, brushes, and other toiletry items, plus random medications, earrings, etc, just floating around in the bottom of a bag. This toiletry kit has multiple zippered sections on each side where you can store various things, and the big center section has dividers and organizers for everything. It also has a hook so you can hang it on the bathroom door. I just leave it packed up at all times and then throw it into my luggage when I’m ready to go. It saves a ton of time not have to pack all those little things each time. Read more about what beauty and hair essentials to pack for travel. ⇒ See all our toiletry bag recommendations. What are your favorite things to have along when traveling? Tell us about the travel products you can’t live without. This entry was posted in Travel Tips and tagged gear. Really valuable articles written about outdoor travel gears specially i talk about camera that is backbone of the tour because without it we can not captured our moments for life time and really a good ideas mention here about camera and backpacks. we really appreciate to all of you guys keep posting about like these type of travel gears. This is very informative and helpful site there are all the great travel gears available and also all things we can know about travel gears like luggage, backpacks etc. Dipakjadhavafter reading the article, my mind is just full of freshness and full of motivation to go for travel. Really a nice list of gear is also given which is very helpful and useful. So so good. Thanks a lot for sharing it. Keep it up. Interesting article, Laura. Although we are huge fans of the Bose QC headphones especially for airplanes, I hear you on the bulkiness for trips that require a minimal load; I’m going to check out the Audio-Technica option you suggested. For sleeping, I also carry a single white noise track on my phone that I play on repeat all night. It’s become so good at blurring outside noises that I have trouble sleeping without it even when it’s quiet. We just posted our 3 favorite travel items for 2019: https://justmillennials.com/travel-gear-for-2019-top-3-must-haves/ I also have a pair of Columbia travel pants that have been worn more times than I’d like to say. Thanks for your list! Sounds like we`re on the same page with a lot of our travel gear. I also play a white noise track on planes and in hotels quite frequently.